Webcast sponsored by the Irving K. Barber Learning Centre. Back in the ‘80s when the Vancouver Canucks were searching for wins in a tough Smythe Division, Victor de Bonis could be found parking cars at the Pacific Coliseum. After a detour through accounting firm KPMG, de Bonis joined the Canucks operation in 1994, and has since seen various teams and ownerships come and go. Yet through perseverance, relationships and a dedication to winning, over the past two decades, de Bonis has helped turned the franchise into one of the National Hockey League’s most successful franchises. We heard how he got his start, and learn about the challenges he faced and opportunities he seized along the way. 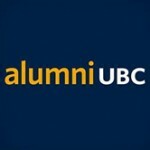 Wesbrook Talks is presented by Wesbrook Village and alumni UBC. It is designed to provide intimate opportunities to listen to and engage with prominent alumni in the community. Victor de Bonis is the Chief Operating Officer for Canucks Sports and Entertainment (CSE), and an Alternate Governor for the NHL. Working in partnership with President of Hockey Operations Trevor Linden, Victor has primary responsibility over all facets of business operations and directs the Senior Leadership Team. The Irving K. Barber Learning Centre is getting a bit of a facelift with some upcoming maintenance. The flooring replacement project, set to begin June 29, will replace flooring on levels 1 and 2, and the foyer area on level 2. Although the main work will take place at night, there may be certain sections of hallways that will be unavailable during the day. Please look for signage within the building to direct you to alternate pathways when areas are closed. The project is expected to be completed in mid-August. Omri Ben-Shahar & Carl E. Schneider, More than You Wanted to Know: The Failure of Mandated Disclosure (Princeton: Princeton University Press, 2014).